With fur or faux trimming, over-sized lapels and different lengths, sew the vintage coat of your dreams. 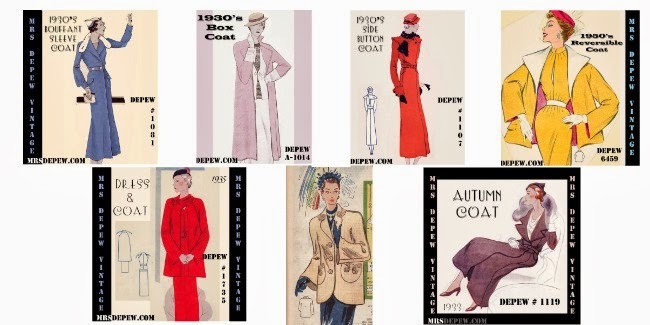 When October hits, I practically live in a 1940s jacket like the one pictured bottom middle but a month later when the bitter winds start to cut through it, it's time for something longer and in wool. By February, St Louis is coated in ice and its so cold the air hurts to breathe so I step out with a fur collar to keep my cheeks warm. I believe that my separates get the most wear in the winter. Long sleeved blouses, knit sweaters, wool skirts and trousers are easy to pair together and accessorize. The bottoms are very basic and can be made in a variety of fabrics to suit your color palette and style but the blouses are really unique! 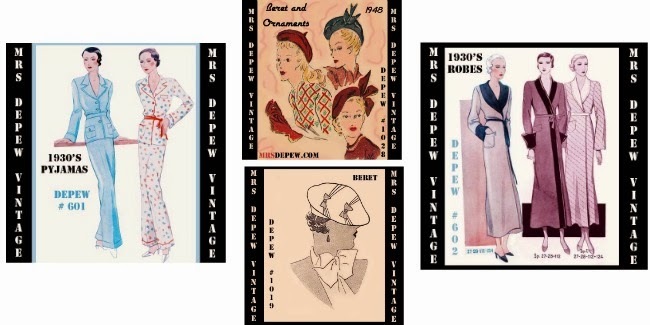 Enjoy snow-days in style with some 1930s pyjamas and robes. Wouldn't the robes be stunning in an extravagant jewel tone or wild chartreuse? When you have to brave the streets for milk, eggs and bread, don't forget a wooly vintage beret! 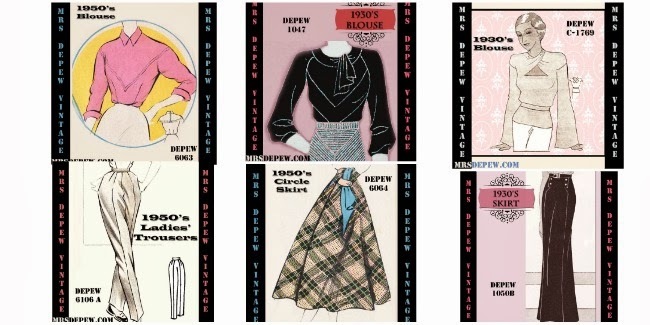 These are all so timelessly, appealing wonderful! 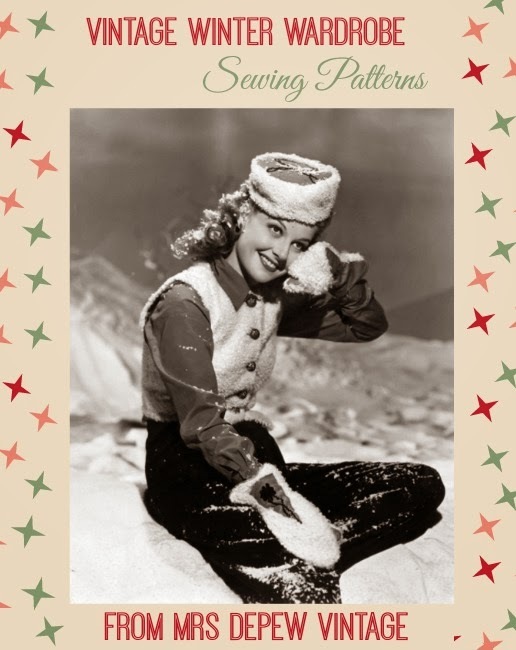 Thank you for highlighting so many of Mrs. Depew's marvelous winter pattern offerings.